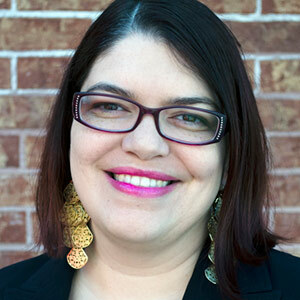 Jen Brass Jenkins, MPC, is a web content and project manager for University of Utah Health. She manages relationships with multiple stakeholders across an enterprise level institution to deliver website strategy and content in a timely manner. She has created, written, and edited content for medical apps, websites, blogs, marketing materials, and other stuff. Before joining the marketing and communications industry, she worked in theater for several years learning skills that turned out to be project management and client relations. Jen is a bibliophile, perfume fancier, crime-show junkie, donut thief, and occasional blogger. On the home front she answers to two felines, Ampersand and Apostrophe. She uses her kitchen as an artist’s studio and aspires to meal preparation and cooking.